Before we get started, just wanted to let you know that Janis is looking for a couple of Guest Designers! ANY type of crafting is welcome! 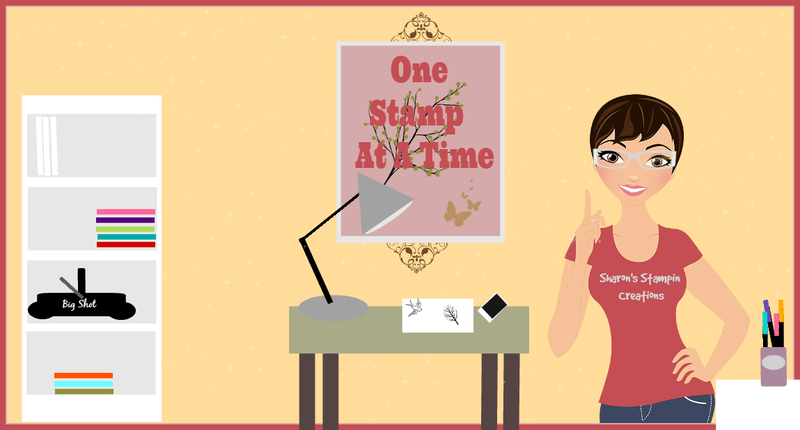 Stamping or Die Cutting, etc. to one of these dates. You will not get to pick the date you want. Can you believe that Thanksgiving is almost here?! I'm excited to show ya'll the card that I made for the PDE Linky Party. This week we are making projects using Pilgrims, Indians, Turkeys &/or Scarecrows. I decided to use a Pilgrim and an Indian. 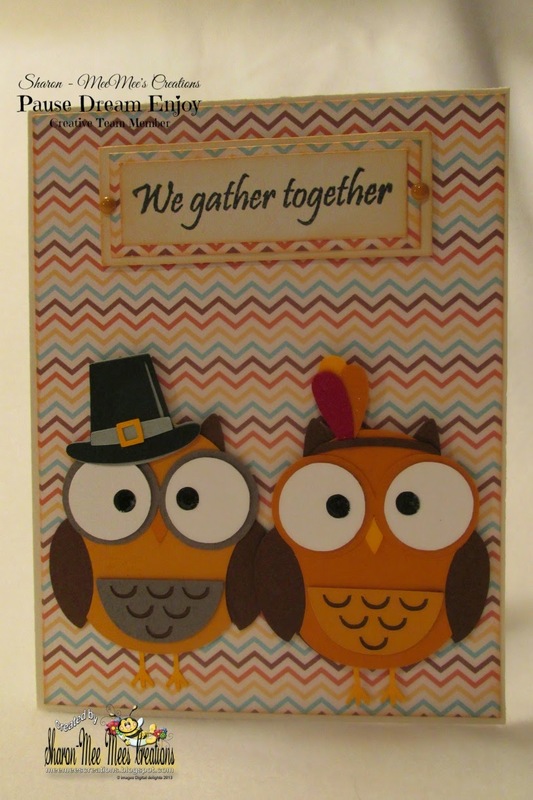 These darling little owls are from Miss Kate's Cuttables. They are file #52070 at the Silhouette Store. I think they are so cute!! I added some Clear Wink of Stella to the buckle on his hat and on the feathers on her headdress. 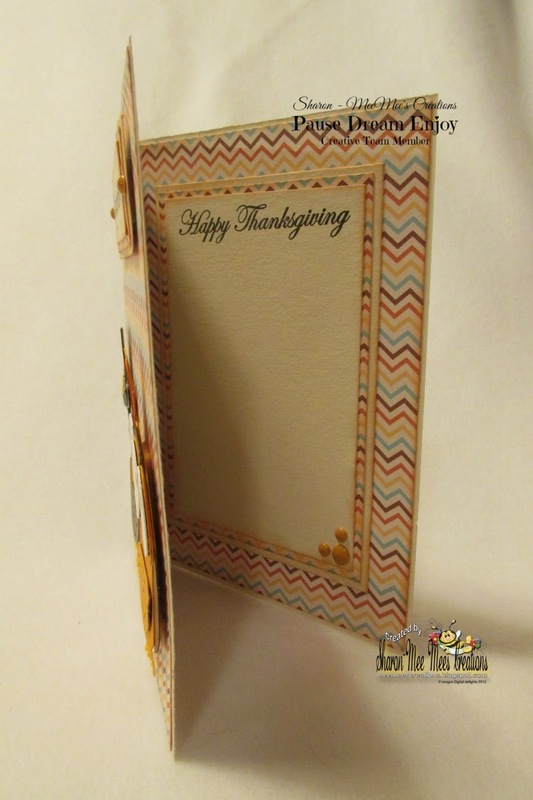 The bg designer paper is from DCWV-Fall & Halloween Basics Stack. The sentiments are from the 'Thankful for You' stamp set from Mary-Cardz TV Stamps'. The enamel dots are from My Mind's Eye. Head on over to PDE Linky Party and check out the projects that my DT Sister's have made. Awesomeness for sure!!! While you are there, check out the rules and then head to your crafty space and make a project using Pilgrims, Indians, Turkeys &/or Scarecrows and then link it up so we can come by and admire it!!! Can't wait to see what you make!! Those owls are such a stinkin' hoot. Love them. Aaaw, these are adorable Sharon! I love how you always do the inside to! GREAT job my friend!